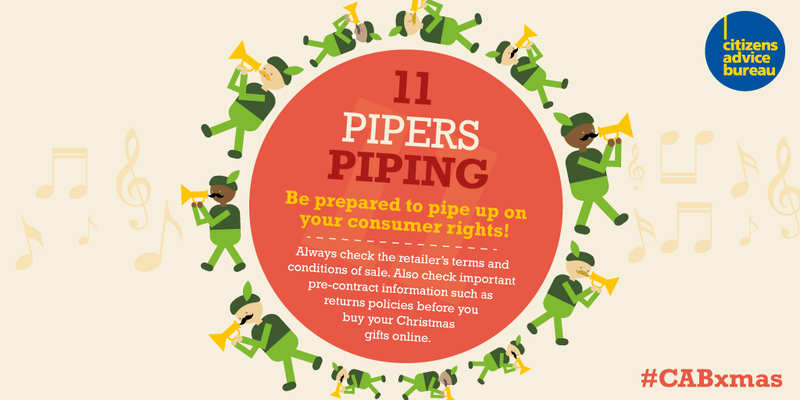 Drench were commissioned by Citizens Advice to put together some festive social media graphics to share useful tips in the Christmas period and to raise awareness of consumer rights. 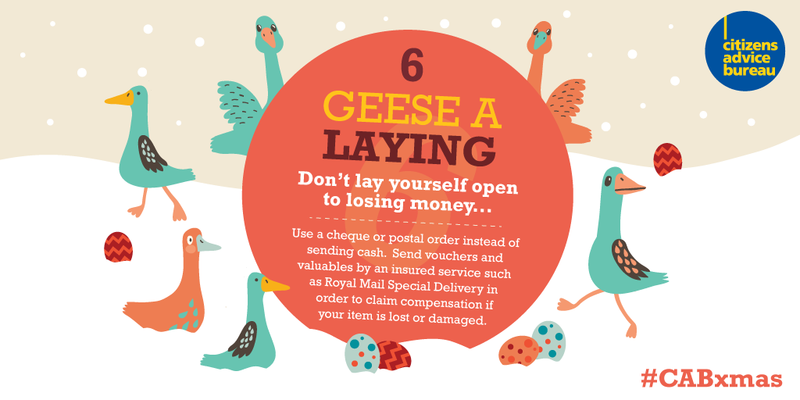 Cleverly marketed as the 12 tips of Christmas, these graphics offered advice on buying and sending gifts and cards and stopping people from getting caught out. 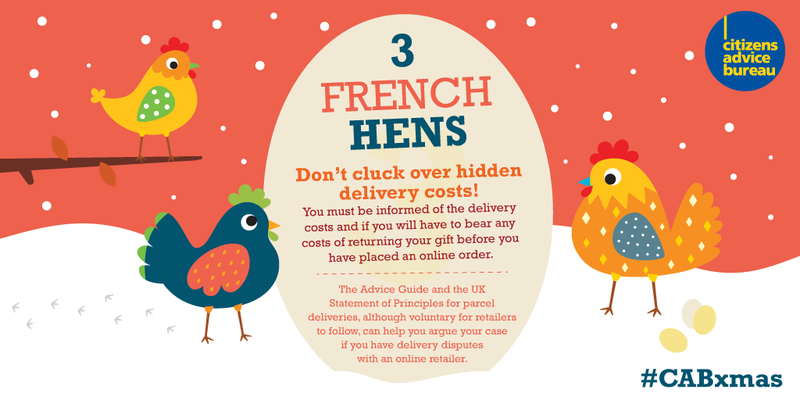 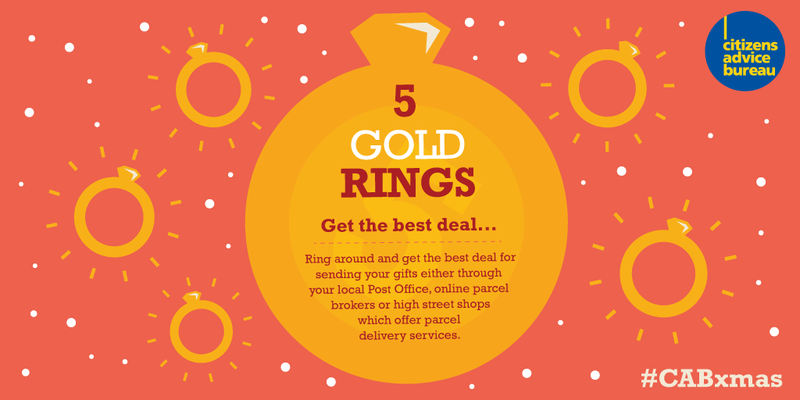 These graphics were shared throughout the festive period across the CAB’s social media accounts, including Facebook,Twitter and Pinterest as well as on their own website.